Hosting a medical conference? 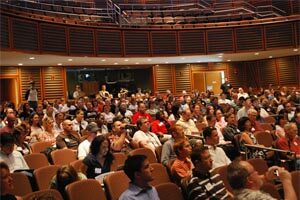 Attending or presenting at a medical conference? Marketing materials? Programs and brochures? Interpreting for attendees? Understanding a speaker? Being understood by other attendees? For more information on the difference between translation and interpreting, please visit our Interpreting Vs. Translation help page, and for other medical translation services we can provide, be sure to read our full Medical Translation Services page. Not sure what exactly you require for medical conference translation? Contact us now and we can answer any questions you may have, as well as get you a free quote when you're ready!